Kangana is all set to be a part of Dharma Production!!! We are still in the mood of speculating that something fishy is getting cooked between Kangana and Karan. It’s not that long since there was a comment made on Karan by Kangana, stating him the movie mafia and flag bearer of nepotism in his own show. The buzz of animosity being high between the two, there is a new declaration that is making headlines in every possible media stand. Kangana is going to play a lead role in Karan’s next. What happens in Bollywood is something that can make people justify facts. We are unsure whether the melody drama that was running down every street singing the nepotism statement of Kangana was a publicity stunt to promote the upcoming movie of Dharma production with Kangana in the lead or was it genuine? The entire nation is still not over the nepotism deliberation started by Kangana Ranaut on the show Koffee With Karan. This is why we find this new piece of information very astonishing. There is a report from an insider source saying that the actress, who called Karan Johar a flag bearer of nepotism in Bollywood, is all set to feature in KJo's next directorial venture. Looks like the entire controversy around nepotism was a promotion trick set by the two, to establish the plot of the film. According to the source, the film is going to be based on a belligerent actress who goes on to become Bollywood's A-lister despite all odds. Well, we are still waiting for the confirmation of the news and official announcement from Karan. Till then let's see how long this new information captivates the cold war between the two. Aamir Khan REACTS To Kangana Ranaut Accusing Karan Johar Of Nepotism In Bollywood! 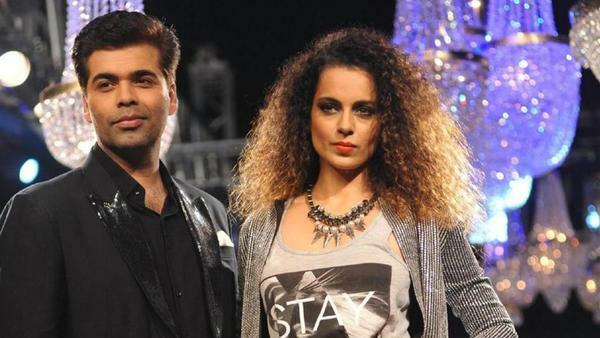 After KJo’s Outburst, Is Kangana in trouble?